I used to think people were “crazy coo coo” when talking about their pets…going on and on and on…until I became one of those people. Now I get it. 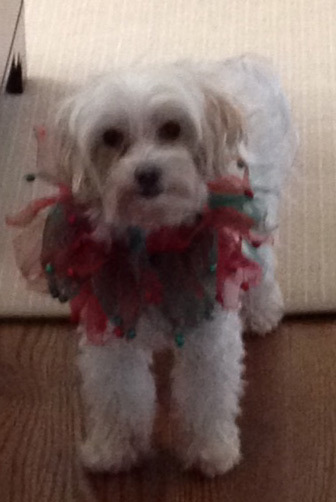 Keely (our 8 pound Maltipoo) entered our life almost 7 years ago and has ruled the roost ever since! In a minute I’ll get to why this has ANYTHING to do with Taco Pasta Salad…for now back to Keely. Dog owners…you understand. My Keely…how can you resist? Having 2 boys I thought it would be a good idea to get a female dog – you know, to balance out all the guy stuff going on around here: sports, stinky socks, lots of dirty laundry, you get the picture. Little did I know that I’d be joining a special pack of dog crazy owners and be lovin’ every minute of it! 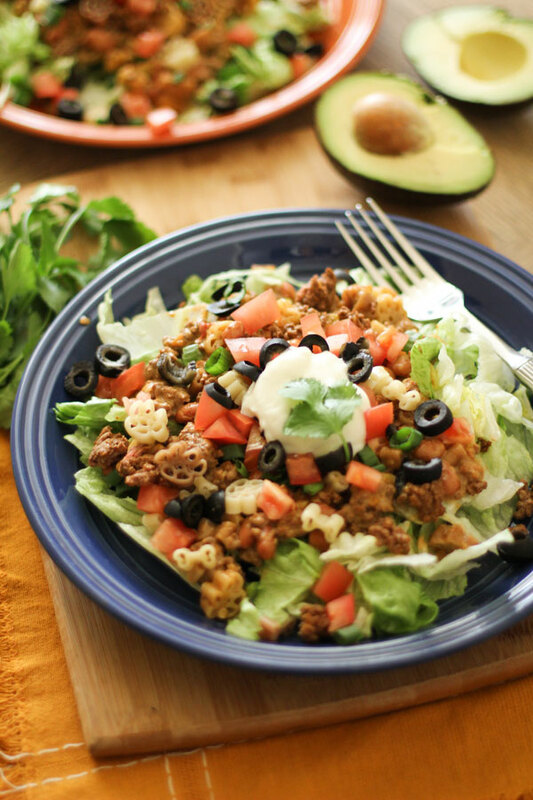 Taco Pasta Salad has wide appeal. You just say “Taco” and people get it. Kinda like saying” BLT“. The kids will jump up and down and so will your friends. I like this recipe because you can serve it as a main dish over a bed of crisp shredded lettuce or enjoy it more like a dip with crunchy tortilla chips. Either way, be sure or use both of these ingredients! Crumble the chips on top of the salad…or mix in some lettuce when serving it as a dip! And need I explain taco seasoning? It is a pantry staple. I recently enjoyed a corn and avocado dip that called for some taco seasoning (fajita actually) and it added just the right flavor. So I usually keep a couple packets on hand. The rest of the ingredients are as expected, just like at your favorite neighborhood Mexican restaurant. 🙂 And I know what you are thinking, Velveeta, but sometimes there is just no substitute! Smile and enjoy our Taco Pasta. Hit the trails or take your dog for a walk! Rest and take a well-deserved siesta. 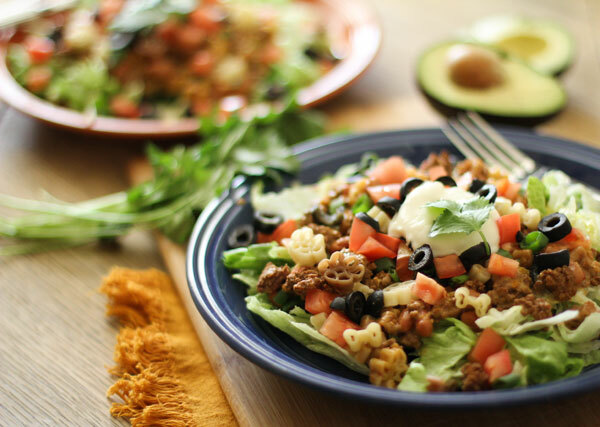 A delicious Taco Pasta Salad that will please all ages! A salad or a dip...you decide the way you want to serve it! Cook beef in large skillet sauté pan over medium heat until no longer pink, stirring to crumble. Drain well. Add taco seasoning mixture, following package directions. Cook pasta in gently boiling water for approx. 6 minutes, until tender but firm. Drain and add to seasoned beef. Add pinto beans. Melt cheese and diced tomatoes and green chilies over low heat or in top of double broiler, stirring often until cheese melts. Add to beef mixture and stir carefully to combine. Reheat and serve over shredded lettuce and chopped tomatoes, or with your favorite tortilla chips. I don’t know what is cuter, your dog or the dog-lovers pasta! Oh my goodness–this sounds AMAZING! Wonder if Weezie (my 14 lb. Shih Tzu) will like it?? Great recipe! 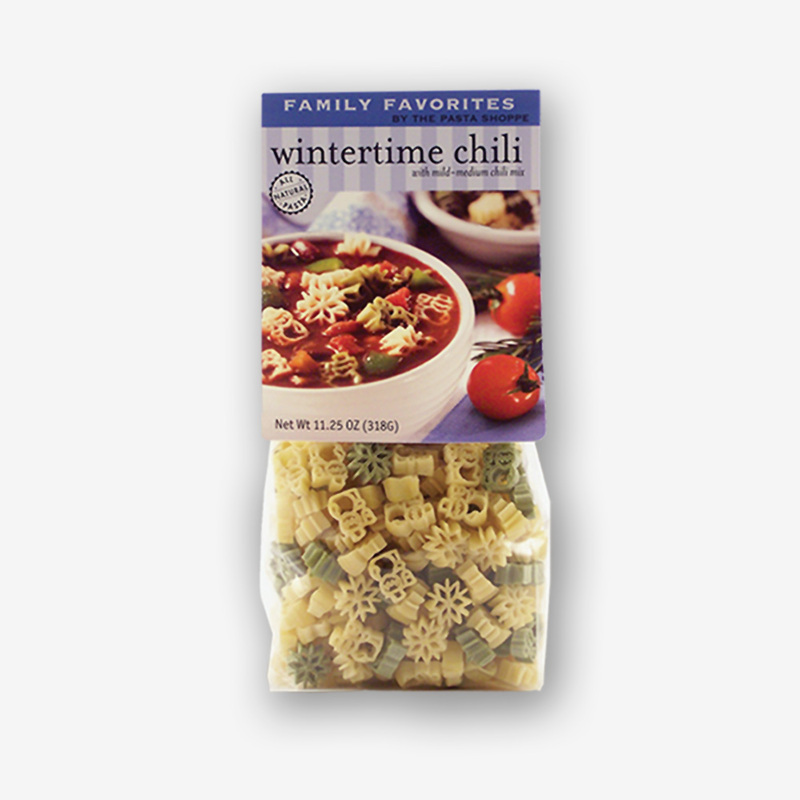 I want to try it with the Georgia BullDOGS pasta. My sister is a BullDOG too – and she would agree with you! 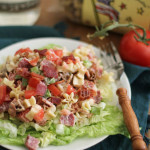 no dogs here, but yours is adorable, and this taco pasta salad is delish!!!! We love Mexican! 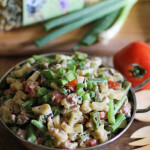 I love this taco flavoured pasta salad! 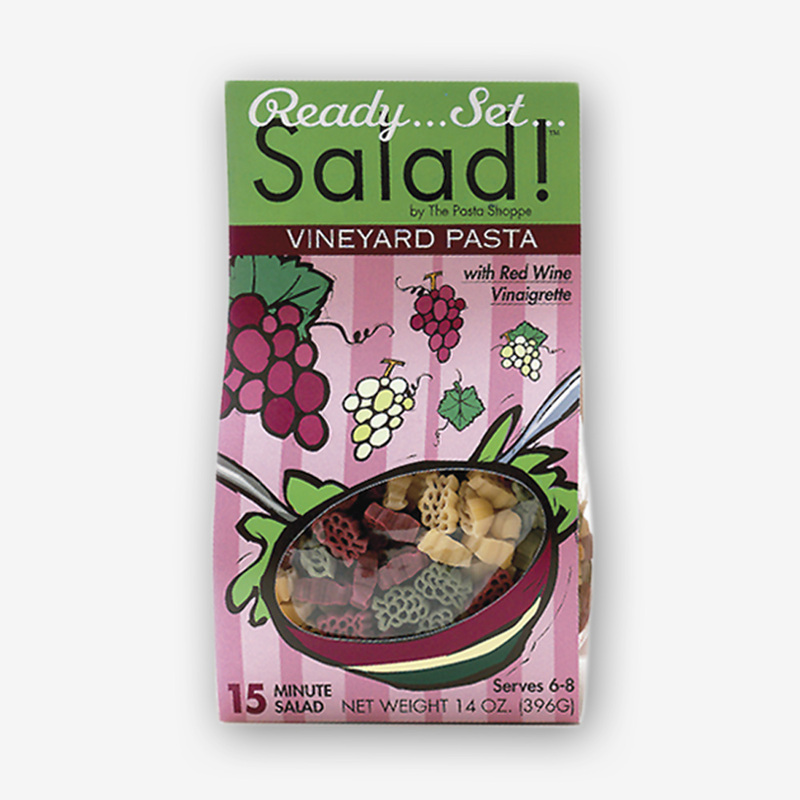 I love coming across new salad recipes that are perfect for me to recreate for during the week. Thanks for sharing this one, you can definitely consider I will be recreating it! I love The Pasta Shoppe — Hope I win! This looks so delicious! What a great meal idea! I will have to make this for sure! Thank you for sharing! The Dog Lover’s Pasta is fun! Thank you! We have Cat Lovers too…:) But usually one has a preference! 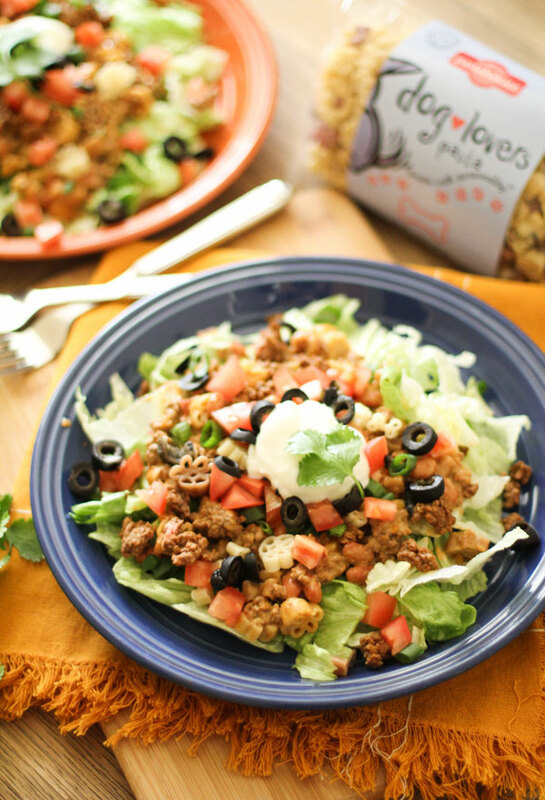 I really think that the paw prints and bone prints are so cute and i love taco salad so it would be something the whole family would enjoy! That sounds yummy! I like cats too:-)! 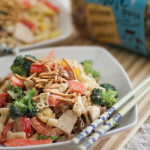 Dog Lover’s Pasta Looks Great for Taco Pasta Salad! I LOVE TACOS + SALAD! Looks so delicious! If my baby Menudo were still here (my Chihuahua) I know he would be licking the computer screen right now!